WALKING Football is a slower paced version of the beautiful game aimed at (but not limited to) over 50’s. It is designed to help people stay active as well as improve their health, fitness and get those back playing football who may have had to stop due to injuries. Walking Football comes with a number of physical, social and psychological health benefits leading to a better quality of life. 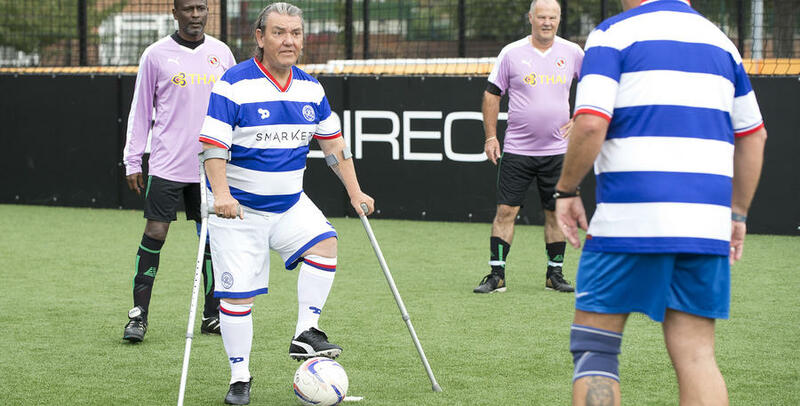 The QPR Walking Football team has been in action since September 2016 and are currently members of the London United Walking Football League. We regularly play matches and recently reached the semi-finals of the EFL regional walking football finals. Please contact Health Manager Sinead Friel if you would like to take part on 07807788511 or via [email protected].